Gail works mainly in silkscreen monotype to create unique images as she is fascinated by the chance mark and find that the painterly process allows her a great deal of freedom from the usual restraints of printmaking. She has called her monotypes silkscreen paintings as she approaches them and executes them as a painter approaches a canvas. She uses brushes and card to make the images and has a myriad of colours to work with simultaneously. The process requires building the image layer on layer until she feels that it tastes right. The series of work here shows a concern with mark making and pattern, together with landscape elements. She employs rich colour in abstract and semi-abstract form, or perversely the absence of colour in the recent exploration of heads. This series aims to create a sense of presence, and seeks to portray the power and vulnerability of humanity. The positive impact of this use of colour has been her main inspiration, together with the idea of journeys both literal and metaphorical. She does not work with real places or people, but instead relies on her senses, intuition and memories to create imagery. 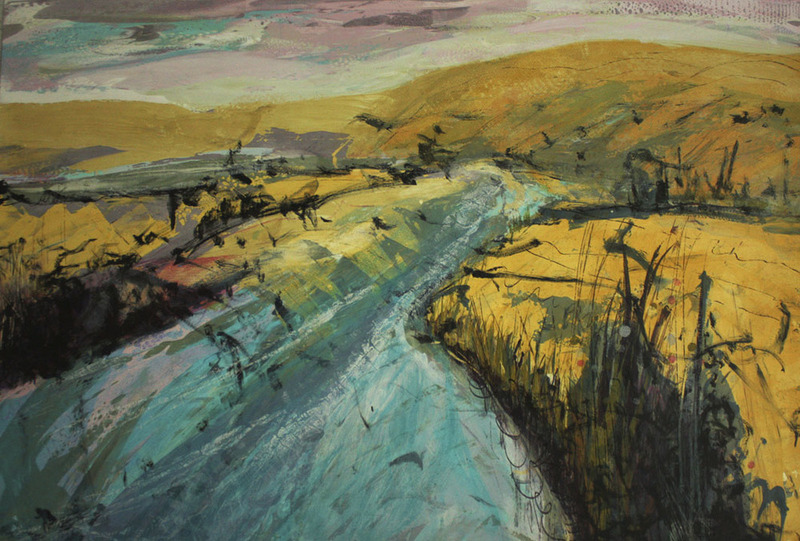 She is the recipient of several National Printmaking awards and is a regular exhibitor at the RWA Autumn Open, the National Original Printmaking show in London and galleries in London and the South West. 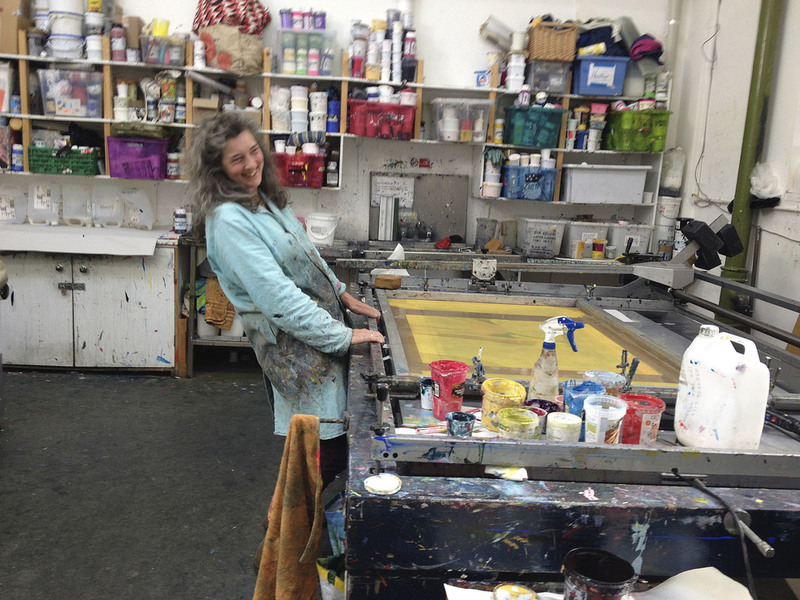 She taught all forms of Printmaking to Degree level Fine Art and Graphics students for 13 years at an HE college, and now runs private classes in silkscreen and oil based printmaking at her studio in North Somerset. She has been based at Spike Print Studio in Bristol since completing an MA in Printmaking in 2004. There she makes prints for Exhibition, Galleries, Public Spaces, and the Corporate World.